On a hot, seemingly ordinary night last summer, a man and a woman each walked into a convenience store in Northern Virginia. Minutes later, the man would punch the woman once, killing her after he claims she used a racial slur against him during their brief encounter inside the store. Fidelia Montiel-Benitez, a 39-year-old mother, died after Robert Coleman punched her. Coleman, a 26-year-old father, told police he struck Montiel-Benitez after they clashed and she called him the N-word. He also claimed he thought she was a man and that they would face off outside. Prosecutors said Coleman was a bully who was looking for a fight. The altercation was caught on surveillance video obtained by News4, seen here for the first time outside court. In early April, a jury convicted Coleman of second-degree murder and recommended he serve 10 years in prison. As the case draws national attention ahead of Coleman's sentencing this month, Montiel-Benitez's loved ones are still reeling from the loss, and Coleman's lawyer is preparing to appeal the verdict. 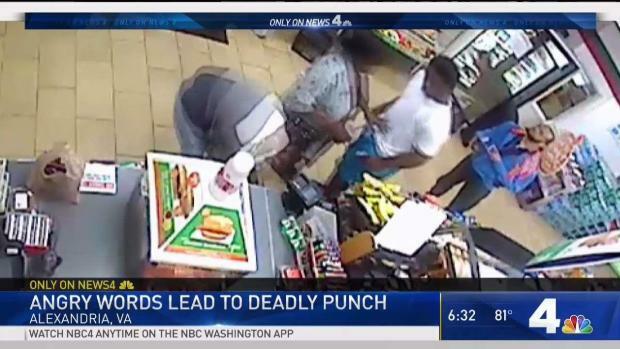 Surveillance footage shows the strangers' interaction inside the store and a glimpse of the devastating punch. Audio from the trial reveals the victim had a 15-year-old daughter who was forced into foster care after her mother's death. "To me, my mom was my best friend," her daughter said softly at the trial. "I'm traumatized. I can't sleep at night. It's difficult. I'm really anxious," the teenager said. A man and a woman -- strangers to each other -- walked into a 7-Eleven in Alexandria, Virginia, last summer. Within moments, the woman would have an injury that would end her life, and the man would be headed to prison for inflicting it. News4's Julie Carey has the story. Before the attack that would kill Montiel-Benitez, security footage from before midnight July 10, 2017 shows her walk calmly into the 7-Eleven store in the 4900 block of Seminary Road, near the Mark Center. Wearing a hooded sweatshirt and carrying a purple backpack, she heads to the cooler, picks out three bottles of beer and walks to the counter. As she waits for the cashier to ring her up, Coleman walks in and stands a few feet from her. Several seconds later, his girlfriend, Nikki Howard, enters and heads to the soda machine. As Montiel-Benitez and Coleman wait at the register, Coleman appears to get impatient, pacing behind Montiel-Benitez and crossing his arms. She pays and starts to load the bottles into the backpack at her feet. Robert Coleman looms over Fidelia Montiel-Benitez, a stranger, as she loads her purchases into her bag. Then, the silent video shows Coleman appear to say something to Montiel-Benitez. At 6-foot-2, he looms over Montiel-Benitez, who stands 5-foot-4. She doesn't appear to reply. Coleman's girlfriend intervenes and pushes Coleman away from the stranger. Montiel-Benitez walks away. As she opens the door to leave, she turns and appears to say something. Coleman rushes after her. Fidelia Montiel-Benitez appears to say something as she leaves the store. Moments later, a stranger would attack her, leaving her with a fatal injury. Outside the store, silent footage from a camera on a nearby apartment building shows the fatal attack, with the view partially obscured by the leaves of a tree. Montiel-Benitez walks outside, and Coleman charges out behind her and confronts her. Her back is to a brick wall. Then, Coleman powerfully winds up his right arm and lunges toward Montiel-Benitez. The impact of the punch is blocked by leaves in front of the camera. Coleman's girlfriend yanks at his white T-shirt and they walk away, leaving Montiel-Benitez lying on the sidewalk. The back of Montiel-Benitez's head slammed against the brick wall when Coleman punched her. She was conscious when medics rushed her to Inova Alexandria Hospital, an officer testified. She was transferred to Inova Fairfax Hospital with a brain injury. There, she deteriorated and went into a coma. After fighting for her life for 10 days, she died. 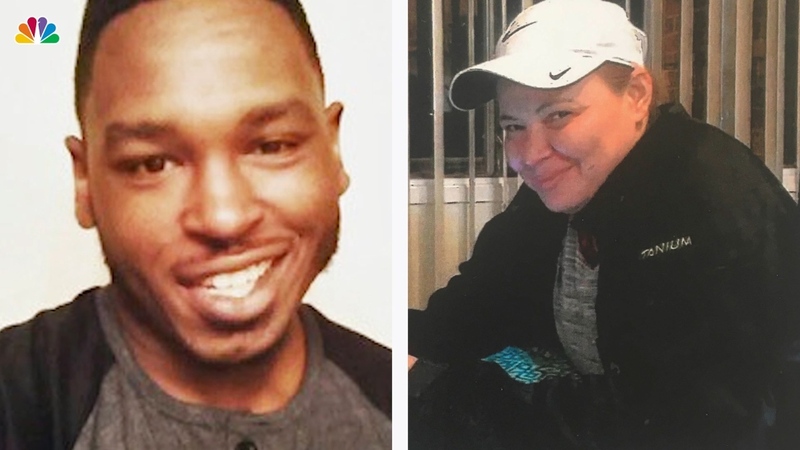 Detectives questioned Coleman the day after the attack, and he initially denied ever having any contact with Montiel-Benitez. But after he learned she was badly injured, he confessed to the crime. Coleman told his lawyer, Robert Jenkins, that he had thought Montiel-Benitez, who had short hair, was a man. He said he couldn't remember how the conflict between them started. Coleman said when Montiel-Benitez called him the N-word, he "snapped," according to his lawyer. Having the slur used against him was "particularly triggering for him." "He thought this was a one-punch fight and that was it," Jenkins said. "He had no clue that he had caused the death of someone." Coleman was charged with murder. He pleaded not guilty, and on April 2, his case went to trial. Jurors heard from Montiel-Benitez's daughter and from Howard, Coleman's girlfriend. Howard called the victim "it" and "he" rather than "she," and defended her boyfriend. She claimed Montiel-Benitez had "bucked" at Coleman like she was going to punch him. She said her boyfriend was defending himself against someone who disrespected him. "You act like a man, you get treated like a man," she said on a phone call with Coleman after the attack, according to her testimony. In court, Coleman himself apologized to Montiel-Benitez's family. "I want to start off by saying that I'm extremely sorry for your all loss," he said, reading from a letter he wrote. "It was never my intention, nor was it in my plans, to take your loved one from you all." A day and a half after the trial began, the jury announced a guilty verdict. They could have recommended a sentence of 40 years. Instead, they recommended 10 years. News of the verdict began to gain national attention, with a focus on Coleman's claim that Montiel-Benitez called him the N-word. Jenkins, his lawyer, said he received dozens of emails and calls of support for Coleman, and he is representing him pro bono. Jenkins said he thought Coleman's account of having a racial slur used against him resonated. "A lot of people understand how emotionally charged the word is and understand losing your sound mind for a moment when you hear it," he said. Jenkins said that before Coleman is set to be sentenced on May 24, he will try to persuade the judge that the sentence is too long. Then, he will file an appeal, arguing Montiel-Benitez's death was a horrible accident, not second-degree murder. Alexandria prosecutor Bryan Porter said the jury's verdict and recommended sentence are appropriate. "The evidence did not suggest that [Coleman] intended to kill his victim. But obviously that is a foreseeable consequence when someone physically large decides to attack someone who is a lot smaller than them by punching them in the face," he said. Nothing Montiel-Benitez could have said would have been reason for an attack, Porter said. "Even if she did use a racial epithet, it can't justify violence," he said.